Gundersen Health System makes sure designers deliver projects that perform efficiency-wise as well as they were designed to. And so what’s old is new again: “We’ve moved from conservation into renewables and now we’re back to efficiency,” says Zarecki. 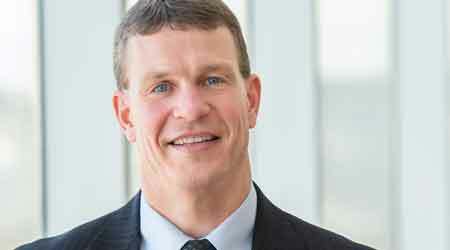 One strategy that’ll have a dramatic effect on Gundersen’s long-term efficiency goals is ensuring new construction lives up to efficiency standards in operations — no small feat for healthcare facilities. “What we’ve learned is you can’t just say ‘We want this to be an energy efficient building,’” says Eber. Instead, Zarecki and Eber have learned to give the designers an aggressive energy target and stay on them to hit it. 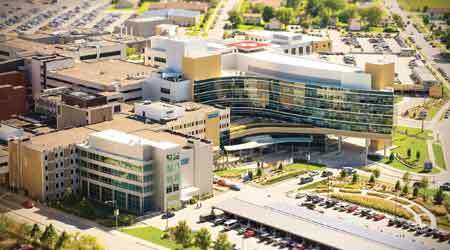 For hospital buildings in the upper Midwest, the average for energy performance is about 250 kBtu/sqft/year. Gundersen tells its designers to hit a target of 115. They don’t tell designers how to hit that target, specifically. But they make sure designers understand why such an aggressive goal is important. That constant improvement to drive out waste has been the hallmark of Zarecki’s career at Gundersen. But energy efficiency is something he’s become deeply passionate about. It shows. “Why am I still doing this 11 years later?” he says. “I came here to help reduce the cost of healthcare. But now I get to work on something every day that marries cost, health, environment, and economy. You don’t have to be an energy engineer, but you have to be someone who can get things done.” No question, Zarecki is that.